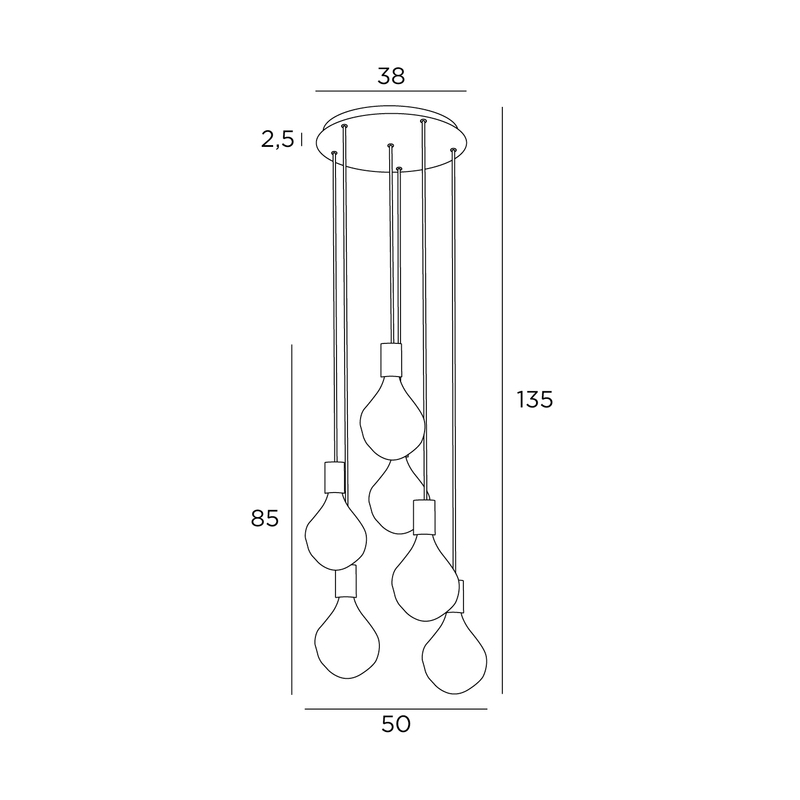 Standard : the suspension is provided for a ceiling height of 310 cm. The lower reaches 175 cm from the ground . 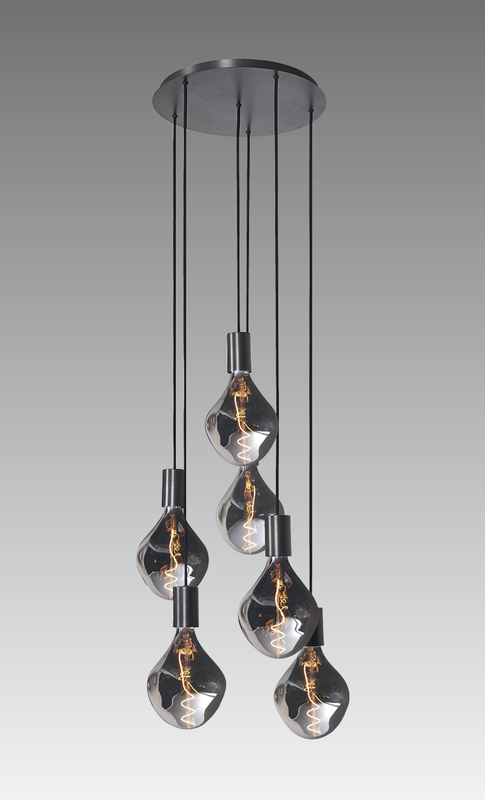 The height of all bulbs is 85 cm.